NEW GUIDE: Sparky Automaton using CRICKIT & Circuit Playground Express #Adafruit #CRICKIT #MakeRobotFriend « Adafruit Industries – Makers, hackers, artists, designers and engineers! 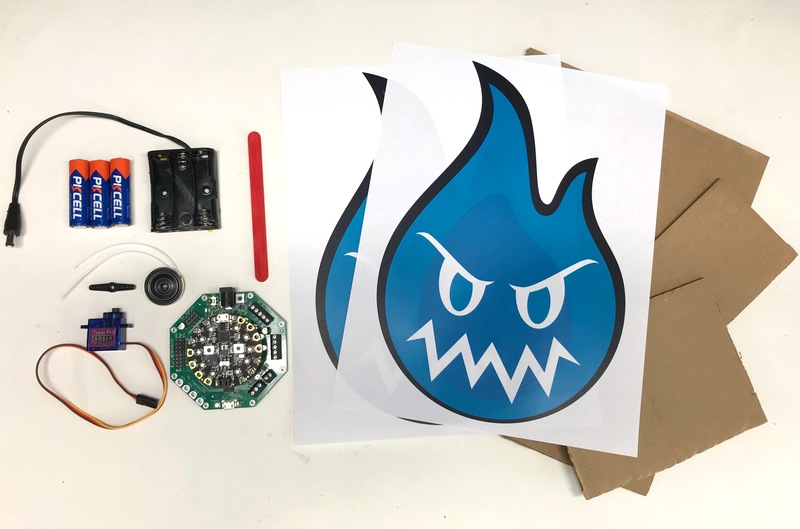 This new guide takes you through the process of building a Sparky the Blue Smoke Monster robot friend! He’ll be there when you put the chip in backwards, swap power and ground, or forget the decoupling cap. You might be a little crestfallen when you let the blue smoke out of your chips, but at least you have someone by your side. This project shows you how to build a talking automaton using cardboard, popsicle sticks and some other household materials, paired with Adafruit’s CRICKIT for Circuit Playground Express and a micro servo motor. This guide also demonstrates how to play audio clips through a speaker using CircuitPython and Mu. Check out the Sparky Automaton on Youtube to see it in action!